A touring production of “Women of Ciudad Juárez” will be offered at 7:30 p.m. Wednesday, Jan. 25, through Saturday, Jan. 28, in the Bud Walton Theatre. 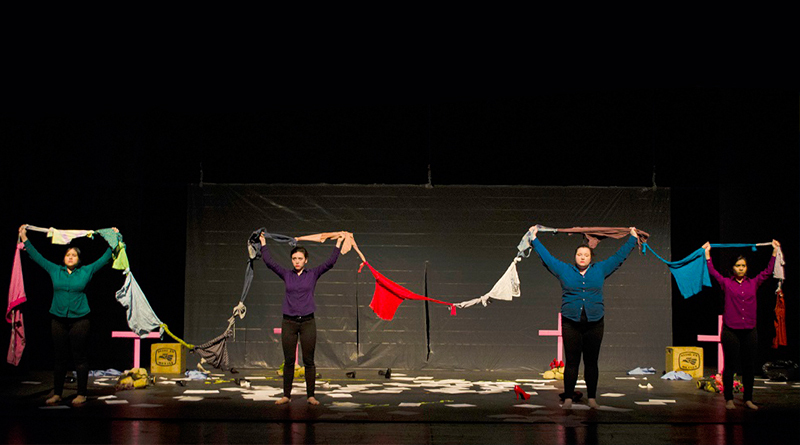 “Women of Ciudad Juárez” began as a one-woman show. The touring production features four actresses. The award-winning production directed by Jimmy A. Noriega is now in its fourth year of touring. To date, the show has been performed 28 times to over 8,500 people in 19 locations in the U.S., Canada, Colombia, and Belgium. It has also been presented at professional theatres in Minneapolis and Milwaukee, as well as at Yale, Dartmouth and Arizona State. In addition to its international performances, the play also received a special award from the Kennedy Center. The original Spanish script is by Cristina Michaus, a Mexican film, television, and stage actress who has worked closely with the touring company. She originally wrote and performed “Mujeres de Ciudad Juárez” as a one-woman show in 2002. The production ran for more than six months in Mexico City, and toured to other theaters throughout Mexico for several years. The current touring company, Teatro Travieso (Troublemaker Theatre), was founded in 2012 by Noriega, who translated the play into English. Noriega is a 2005 graduate of Missouri Southern and earned his Ph.D. from Cornell University in 2011. A scholar and director, he is now a professor of theater at the College of Wooster in Ohio. The production stars Stephanie Castrejón, Janna Haywood, Aviva Neff and Summit J. Starr. The production is recommended for mature audiences only. Tickets are $5 for the public, $3 for senior citizens and free for MSSU faculty, staff and students.